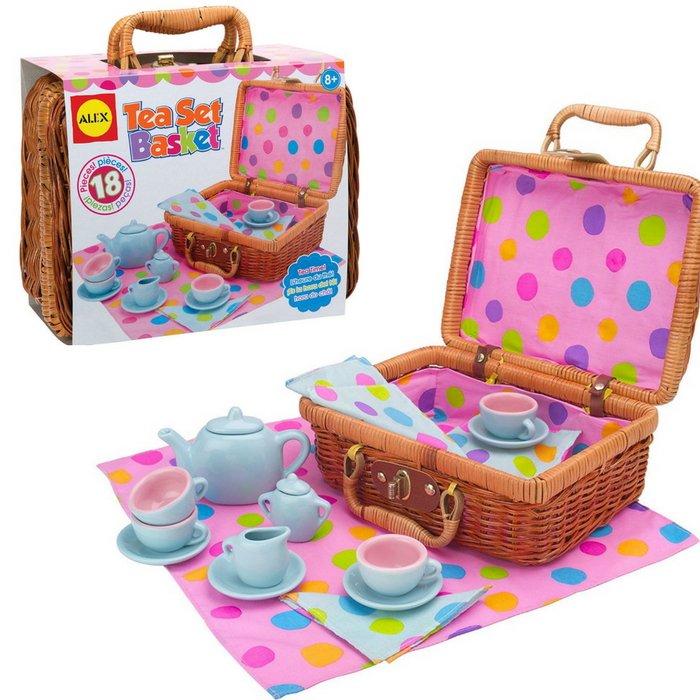 ALEX Toys Tea Set Basket Just $14.27! Down From $30.50! You are here: Home / Great Deals / Amazon Deals / ALEX Toys Tea Set Basket Just $14.27! Down From $30.50! Check out this ALEX Toys Tea Set Basket which is on sale at Amazon for just $14.27 down from $30.50 PLUS FREE shipping with Amazon Prime or for orders $25 or more! The wicker basket holds this entire tea set together and makes transportation simple as your child brings his or her set from one tea party location to another. All supplies fit neatly into the basket, including adorable matching polka-dot napkins and a tablecloth to set the scene. This set is designed for pretend play, encouraging little ones to use their imagination and drink invisible tea at their tea parties. Pretend play is great for developing the imagination, enhancing creativity and encouraging social skills in young children.